The 412th Medical Group and 412th Force Support Squadron combined basketball team won the Edwards AFB 2016 Intramural Championship March 15. 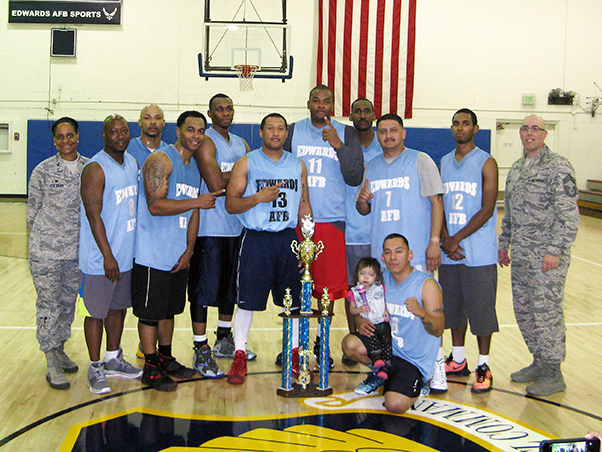 The 412th Medical Group and 412th Force Support Squadron combined intramural basketball team won the 2016 Championship at the Rosburg Fitness Center March 15. 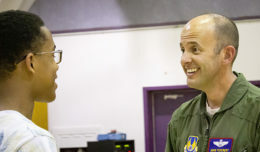 412th MDG/FSS was undefeated in the playoffs going in to Tuesday night, which in the double elimination tournament meant that the number-one-seeded 412th Security Forces Squadron needed to win two games in a row in order to win the championship due to a loss earlier in the playoffs. 412th SFS fought hard to win the first game 60-55. They were led by team high scorer Senior Airman Quadri Carter and Coach Staff Sgt. Anthony Hopkins. After a short break, both teams battled again. This time 412th MDG/FSS was able to rally and win the game 84-69, sealing their championship. 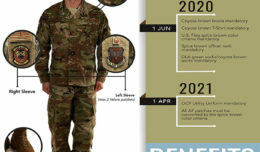 412th MDG/FSS was led by coaches Staff Sgt. Milo Otis and Staff Sgt. Dawann Johnson, as well as high scorer Luther Hall.